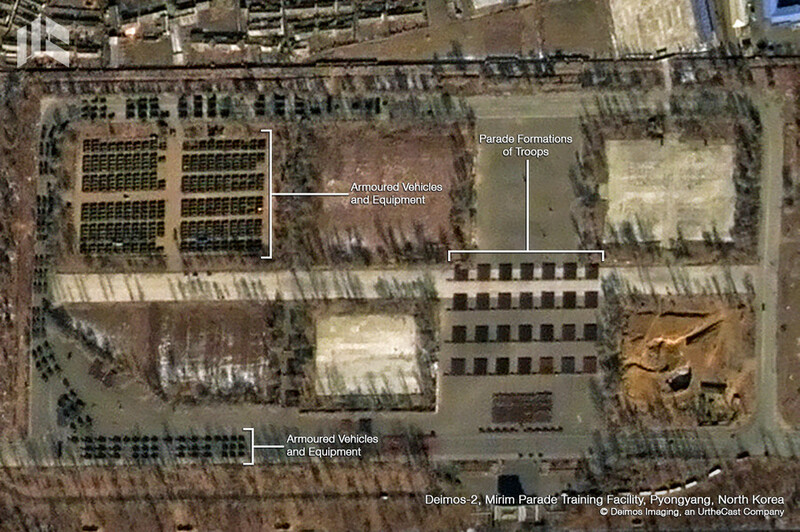 With the Winter Olympics in South Korea just days away, its neighbor to the north is gearing up for a military parade, the scale of which has been captured by satellites cameras orbiting overhead. 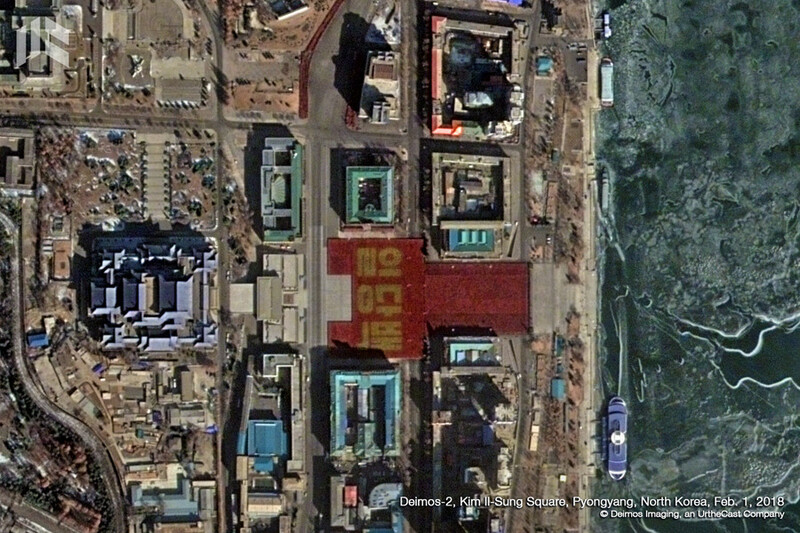 Striking satellite images, captured on February 6, appear to show preparations for the parade in the North Korean capital, Pyongyang. Deimos Imaging, an UrtheCast Company, have identified armored vehicles and equipment in the photos captured by their satellite, as well as apparent troop formations on the ground. The lead-up to the Winter Olympics has seen a thawing in relations between the two states. 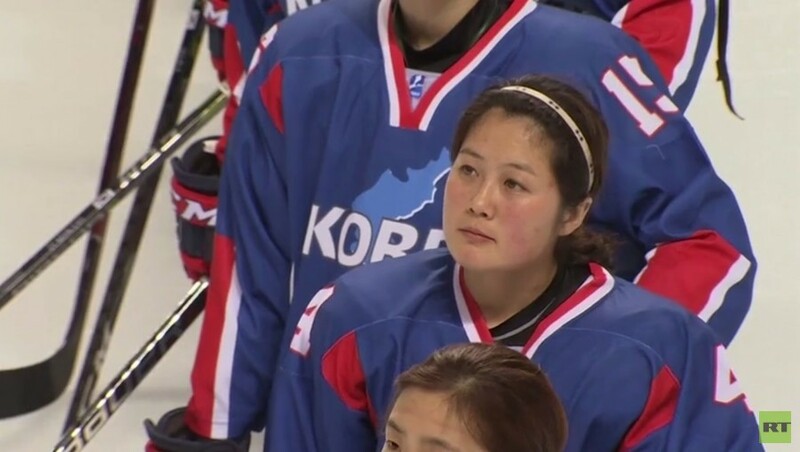 On Sunday a unified Korean women’s ice hockey team played their first warm-up game ahead of the tournament. 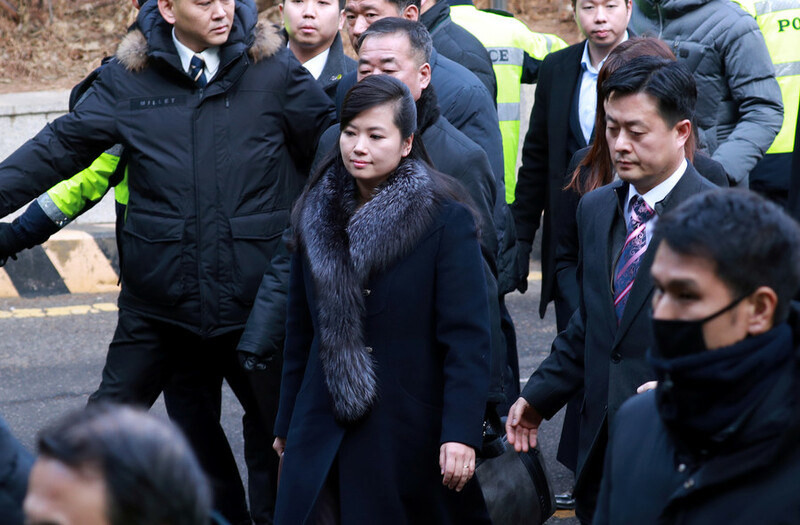 Last month a delegation from the DPRK, including pop star-turned diplomat Hyon Song-wol, travelled south to inspect Olympic venues. 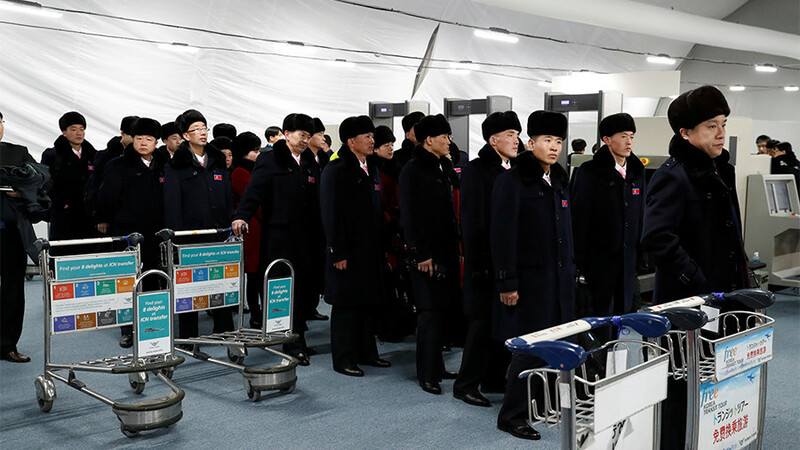 The head of North Korea’s parliament, Kim Yong-nam, is also expected to lead a 22-strong delegation to the games. The delegation is set to visit South Korea between February 9 and February 11. 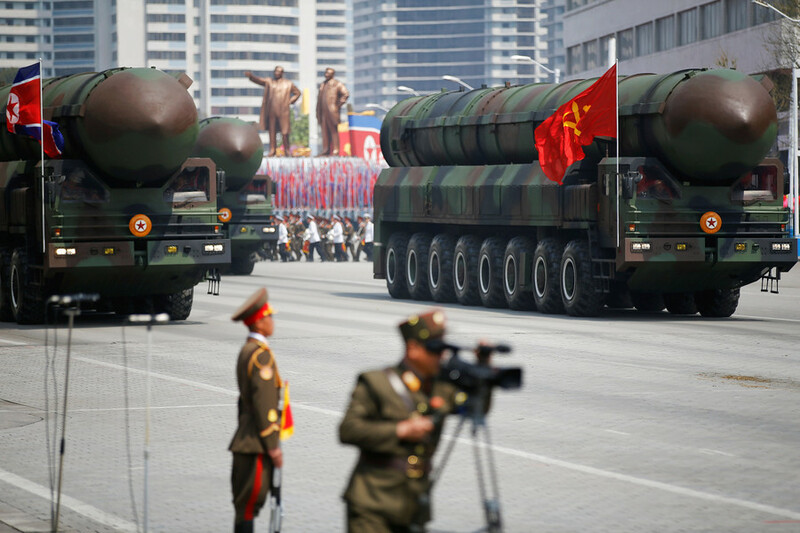 However, tensions remain between North and South Korea, and the upcoming parade is a particular sticking point. 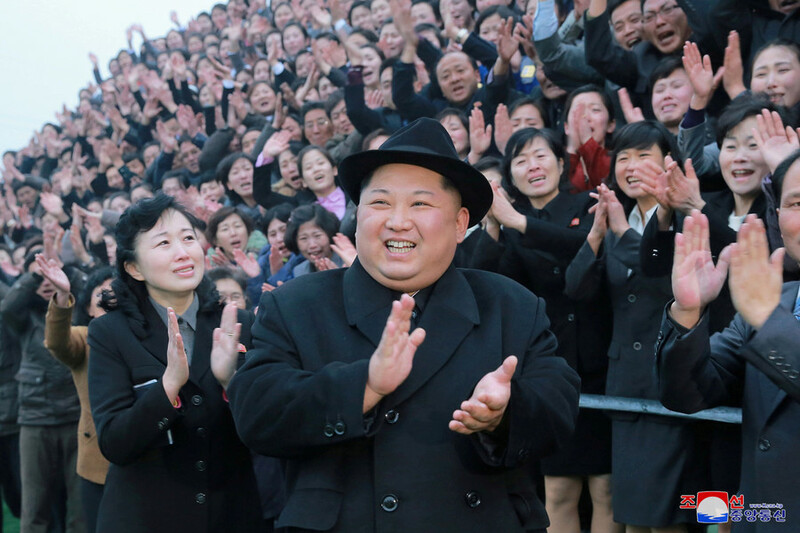 North Korea confirmed that the 70th anniversary of the Korean People’s Army (KPA) would be celebrated on its official date, February 8, instead of April 25 – the date on which it has been marked since 1978. 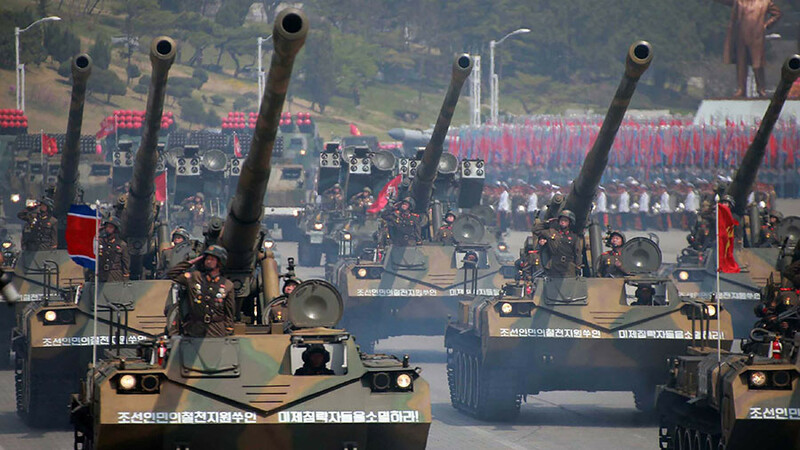 Seoul responded by describing the event as an “intimidating” military parade the day before the Games’ opening ceremony. North and South have agreed to make a joint entrance under a unified Korean Peninsula flag at the opening ceremony. The North will send some 22 athletes to PyeongChang 2018 to compete in five disciplines of three sport codes, including skating, skiing and ice hockey.